Click here to download and read the full CCHR report Pseudoscience — Psychiatry‘s False Diagnoses — Report and recommendations on unscientific fraud perpetrated by psychiatry. The DSM-5 (The Diagnostic and Statistical Manual of Mental Disorders, revision 5) released in May, 2013 is the latest and current version of the standard handbook of “mental illnesses” as determined by the American Psychiatric Association (APA). When the fifth edition of the American Psychiatric Association’s Diagnostic and Statistical Manual of Mental Disorders hit the stores, it extended the reach of psychiatry further into daily life, making many more of us eligible for psychiatric diagnoses and thus for even more psychotropic drugs than we are already taking as a nation. 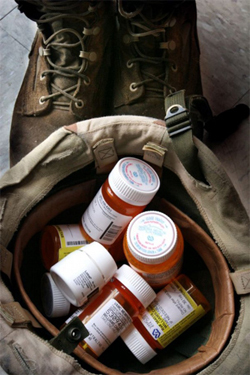 More than ten per cent of American adults already take antidepressants, for example. Using the DSM, a psychiatrist need only label the patient with a “mental disorder”, prescribe a drug and bill the patient’s insurance or Medicaid. The psychiatrist with the DSM in hand can try various labels on the patient as if they were different sizes of apparel until he finds one that either fits the patient’s symptoms or comes close enough to allow him to bill the patient’s insurance. The questions to ask are: Do any of these “disorders” or “mental illnesses” actually exist? Does the DSM have any relationship to a patient’s actual condition, or is it just a convenient and simplistic method of compartmentalizing symptoms without actually working to isolate the true cause of the patient’s real problems? What is the manner and method by which these supposed mental illnesses are determined and by whom? Do psychiatric drugs and treatments based on these fraudulent diagnoses really work? Though the DSM weighs less than five pounds, its influence pervades all aspects of modern society: our governments, our courts, our military, our media and our schools. Using it, psychiatrists can enforce psychiatric drugging, seize your children and even take away your most precious personal freedoms. It is the engine that drives a $330 billion psychiatric industry. 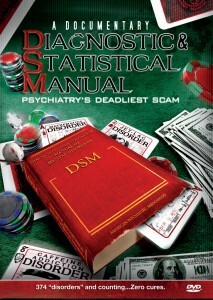 Click here to watch the CCHR documentary “Diagnostic and Statistical Manual — Psychiatry’s Deadliest Scam”. Anyone diagnosed with a psychiatric (mental) disorder and/or their parent or guardian has the right to informed consent before any treatment is undertaken. Unlike diagnoses for medical conditions, psychiatrists do not have blood tests or any other biological tests to ascertain the presence or absence of a mental illness. It is important to know that according to one state government medical manual, “Mental health professionals working within a mental health system have a professional and a legal obligation to recognize the presence of physical disease in their patients” and to rule out any physical condition causing a patient’s “mental disorder”. People can and do experience depression, anxiety and sadness, children do act out or misbehave, and some people can indeed become irrational or psychotic. This does not make them “diseased.” There are non–psychiatric, non–drug solutions for people experiencing mental difficulty, there are non–harmful medical alternatives. The larger problem is that the biological drug model (based on bogus mental disorders) is a disease marketing campaign which prevents governments from funding real medical solutions for people experiencing difficulty. 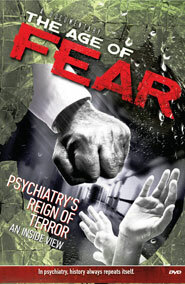 There is a great deal of evidence that medical conditions can manifest as psychiatric symptoms, and that there are non–harmful medical treatments that do not receive government funding because the psychiatric/pharmaceutical industry spends billions of dollars on advertising and lobbying efforts to counter any medical modality that does not support their biological drug model of mental disorders as a disease. Because the general public has been so misled by the psychiatric and pharmaceutical industries about the actual dangers of psychotropic drugs, CCHR has created the psychiatric drug side effects search engine. Visit it to Get the Facts. Fight Back. The Missouri Revised Statutes (RSMo) contains several explicit mentions of the DSM in Chapter 376 on Life, Health and Accident Insurance. Contact your Missouri State Senator and Representative and ask them to remove all references to the DSM from Missouri State Law.